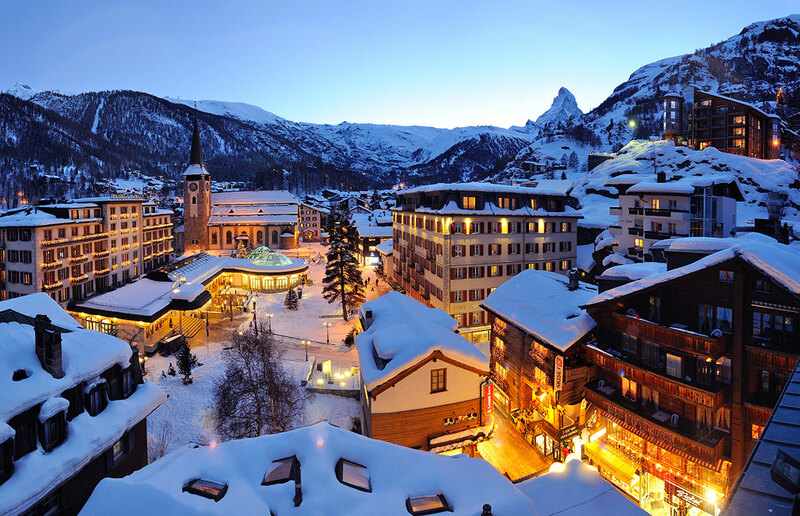 Twice host to the Winter Olympics Games, St. Mortitz sets the world standard for luxury, indulgence, and European ski fashion. The world-renowned ski resort town lies on the south side of the Alps, in the Engadine Valley at 6,000 feet above sea level. The highest mountains of the eastern Alps are in the Upper Engadin, so St. Moritz has great snowfall and an average of 322 days of sunshine – what a great combination! St. Moritz is influenced by three cultures: those of the German-speaking majority of its residents, the romanish-speaking population of the Engadine, and the nearby Italians. St.Moritz has dining and entertainment options to suit anyone’s tastes. Catch a movie at the local theaters or enjoy the captivating atmosphere in the Casino St. Moritz. St. Moritz has also hosted numerous ski and bobsleigh world championships, as well as other important winter sports events. Together with the famous names of its guests, beautiful scenery and the incredible shopping options – St. Moritz is surely one of the most prestigious resorts in the Alps.